In September 2015, the American Birding Association published the fourth title in its excellent series of state guides, describing the birds of California, and in early November, ABA will release the fifth, about Pennsylvania. They join the guides to Colorado, Florida, and New Jersey that came out in 2014. Written for beginning to intermediate birders, the books cover only a portion of the species that have been recorded in each state — common and somewhat uncommon birds, but not vagrants. The California guide features 308 of the 657 birds on the state list, and of the 426 species on Pennsylvania’s official list, the new book describes 252. 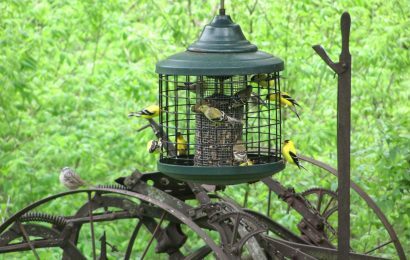 If you’re wondering why the guides don’t include all of the birds in a given state, the answer is two-fold: First, the guides are designed for field use. They are small enough to fit in a large pocket, and they feature flexible binding and high-quality paper. Adding more species would have required more pages and made them less portable. Second, no matter how long you bird, your chances of finding certain species are tiny. Consider Smew or Green Violetear in California. You won’t read about them here, but you will see the state’s endemics and near-endemics, like Island Scrub-Jay, Yellow-billed Magpie, and Ridgway’s Rail. Our good friend Brian Small, whose images illustrate Kenn Kaufman’s “ID Tips” in each issue of BirdWatching, took most of the photos. The books also include shots by Alan Murphy, Bob Steele, Glenn Bartley, and other regular contributors to the magazine. Read articles by and about Kenn Kaufman. Also notable are the authors. They are among today’s top birders. Alvaro Jaramillo, a senior biologist at the San Francisco Bay Bird Observatory, wrote the California guide. He is the owner of Alvaro’s Adventures, an international tour company, and the author of numerous articles and books about birds and birding, including Birds of Chile (Princeton University Press, 2003). The author of the Pennsylvania guide is George L. Armistead, ABA’s events coordinator. He has lead tours for Field Guides, Inc., and is the secretary for the Delaware Valley Ornithological Club, one of the nation’s oldest bird clubs. 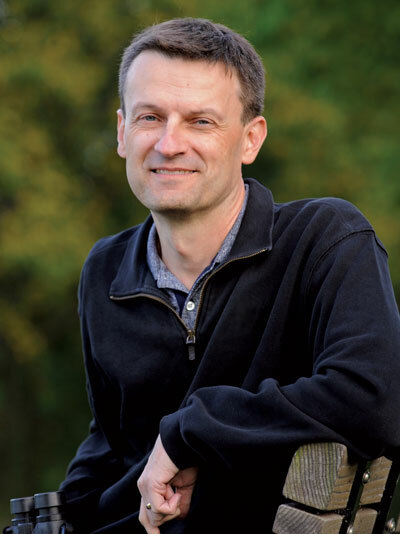 He is also the co-author of Better Birding: Tips, Tools, and Concepts for the Field (Princeton, 2015). Each species account includes one to four photos and a brief, jargon-free paragraph. While the text in most field guides sticks to a familiar pattern — descriptions of colors, shapes, feather patterns, voice — the ABA guides vary from bird to bird. Some refer to plumage, while others discuss behavior. 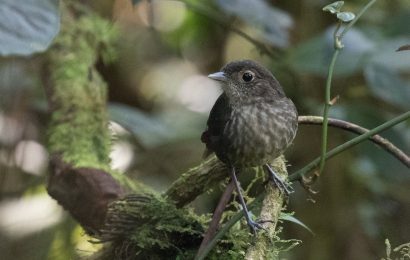 The authors often suggest specific places that birds with restricted ranges can be found, and most of the accounts include details about songs and calls. If you bird in California or Pennsylvania, or in one of the three other states for which ABA guides have been published, don’t delay. Pick up your state’s guide. And if you bird elsewhere, keep an eye out for future editions. Guides to the birds of New York, Texas, Minnesota, and several other states are in the works. 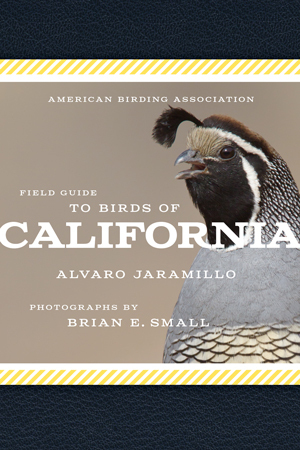 American Birding Association Field Guide to Birds of California, by Alvaro Jaramillo and Brian E. Small, Scott & Nix, Inc., 352 pages, paperback, $24.95. 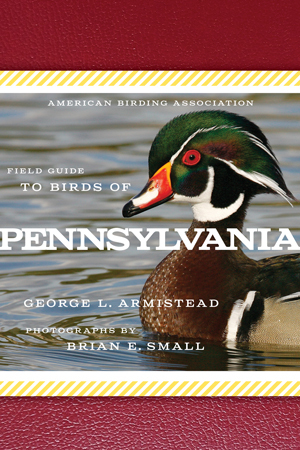 American Birding Association Field Guide to Birds of Pennsylvania, by George L. Armistead and Brian E. Small, Scott & Nix, Inc., 352 pages, paperback, $24.95. Book from expert birders provides a wide-angle approach to bird identification. In ‘Nextinction,’ gonzo artist illustrates birds that can still be saved. Photo collection from William Burt presents seldom-seen water babies. Scott Weidensaul’s guide to owls offers the latest information about 39 species. 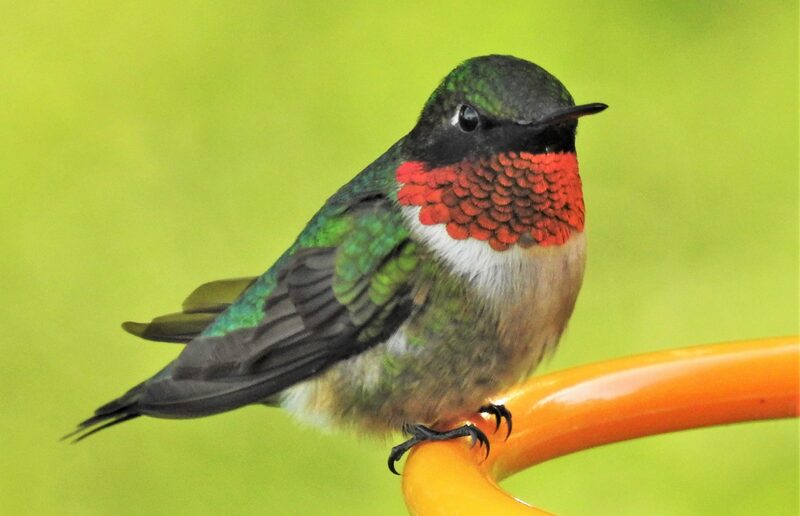 A valuable new ID guide from a founder of the Hummingbird Monitoring Network. Book from PBS Kids host explains how to become a nature mentor. For very young readers, a beautifully illustrated tale about a family of Chimney Swifts. Fold-out quick-reference ID guides to waterfowl, shorebirds, and raptors. From a seabird expert and an eBird project leader, three illustrated guides to offshore wonders and ocean butterflies. Pete Dunne publishes the ‘director’s cut’ of his guide for beginners.